Product information "Hopper scale for stainless steel tanks"
The weighing modules V70N-MA made of stainless steel are ideal for weighing tank or silos with liquids, powders, solids and gas in the food and pharmaceutical industries. The use of weighing modules for weighing of silos and tanks is common practice and a very economical method with excellent measurement precision. The weighing module provides a consistent, compact and cost effective solution over a very wide capacity range from 500 kg to 30 tons. Since July 01, 2014, all carrying components made of steel or aluminum have to go through the attestation of conformity according to DIN EN 1090. Silo scales are carrying the complete silo load and therefore must be certified according to DIN EN 1090. The BOSCHE production process and quality control for silo scales is established to produce according to DIN EN 1090 and to issue CE declarations for these. This CE declaration is required to sell products according to DIN EN 1090 throughout Europe. 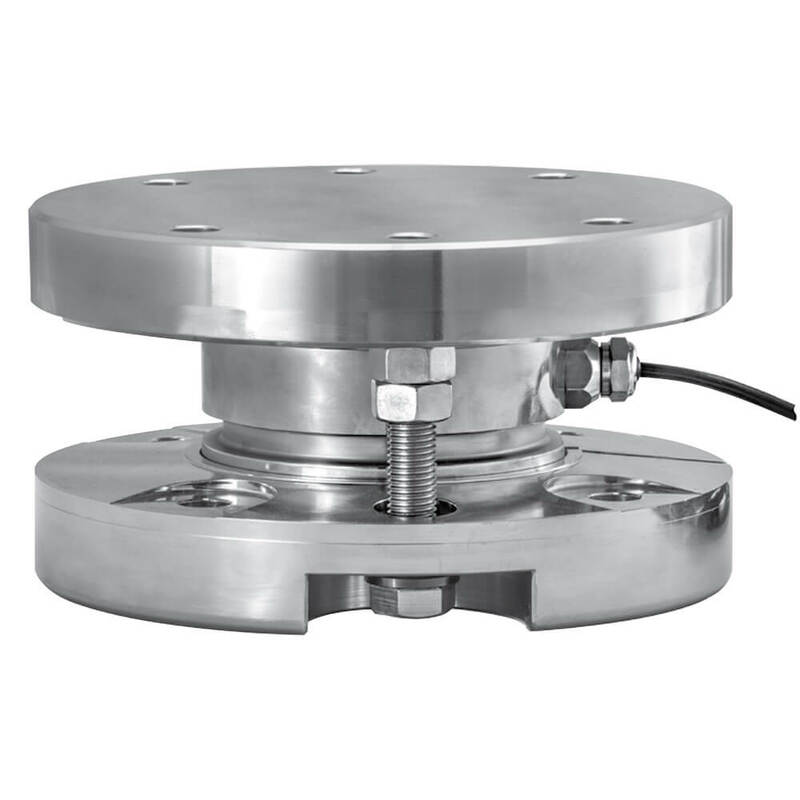 The disk-shaped compression load cell made of stainless steel with bottom and top plate, anti-derail device and lateral and momentfree force transmission ensures accurate weighing. The electro-polished stainless steel construction in its hygienic design is ideal for environments with high standards of cleanliness and hygiene. Due to the central - free to float - force introduction this Pancake Load Cell is largely insensitive to eccentric or lateral load. The Pancake load cells are fixed at the ends by bolts on a stable base. Another advantage is the low profile and the anti-derail device. Tank or silo systems with liquids, powders, solids and gas in the food and pharmaceutical industries. Weighing of containers, storage tanks and silos in the chemical industry, waste and recycling companies. 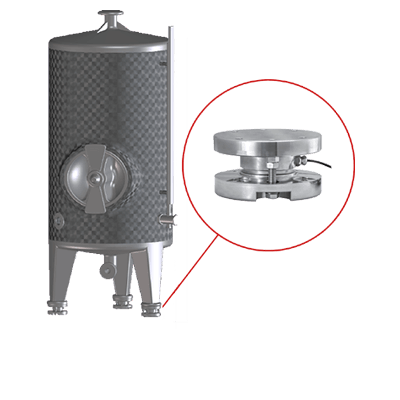 Related links to "Hopper scale for stainless steel tanks"